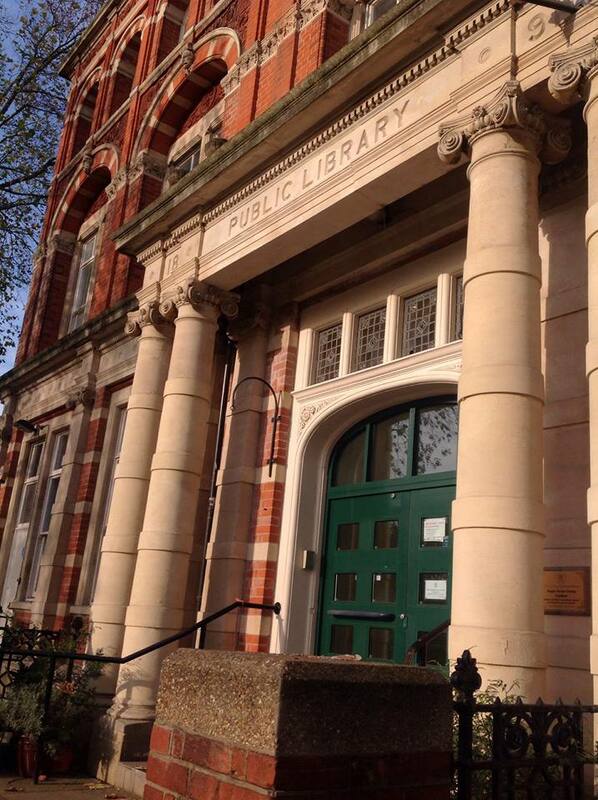 East Ham Public Library opened in east London on 2 January 1899. More than 1,400 borrowers’ tickets were issued within a fortnight of the opening date. By the end of the month, chief librarian William Bridle (1868-1927) was growing concerned about the dwindling numbers of books remaining on his library’s shelves. The result of starting with an insufficient supply of books is that within a month I have had to refuse further admittance, and practically close the Library to all but the fortunate 1,500 readers who were able to make early application [for tickets], thereby causing disappointment, even disgust, among the large numbers of people who are now patiently awaiting their turn to become members [of the lending library]. To meet our pressing needs, the stock of books should be doubled at once. We cannot do less than this and keep faith with the public. We are, by our action in opening the library, inviting them here, and we must be prepared to keep pace with their increasing demands. This story of immediate, almost unmanageable, demand for reading matter was repeated in new public libraries across London at the turn of the twentieth century. From Hither Green in south-east London to Chiswick in west London to Willesden in north-west London to Lambeth in south London, chief librarians struggled to keep pace with borrowers’ needs. Many became resourceful in their efforts to secure additional stock. Some librarians circulated begging letters to local businesses or authors for books and others got up fund-raising events to secure money to buy additional stock – all to ‘keep faith’ with a reading public whose appetite for literature appeared limitless. The impetus behind this informal cross-regional professional network can be traced back to the influential figure of William Haggerston (1848-1894), chief librarian of Newcastle Public Library in the north-east of England from 1879 to 1894. Reproduced with the kind permission of library staff at City Library in Newcastle, from ‘Newcastle Library Cuttings, Volume 1’. I have blogged about the so-called ‘Haggerstonian Geordies’ for the Four Nations blog. Following a research trip to Newcastle last year, I have also started to document my library findings on pinterest as part of an ongoing programme to reconstruct and analyse the careers of around fifty chief and deputy librarians in late-Victorian Britain, with an emphasis on the London experience. (3) The occupational lives of the first generation of library managers in the capital reveal much about wider trends; for example they provide an opportunity to explore social and geographical mobility among the working and lower middle classes at a micro- or human scale, including the informal and submerged professional network that stretched from Haggerston’s Newcastle library in the North East to London libraries such as Lewisham, Battersea and Clapham in the South East. 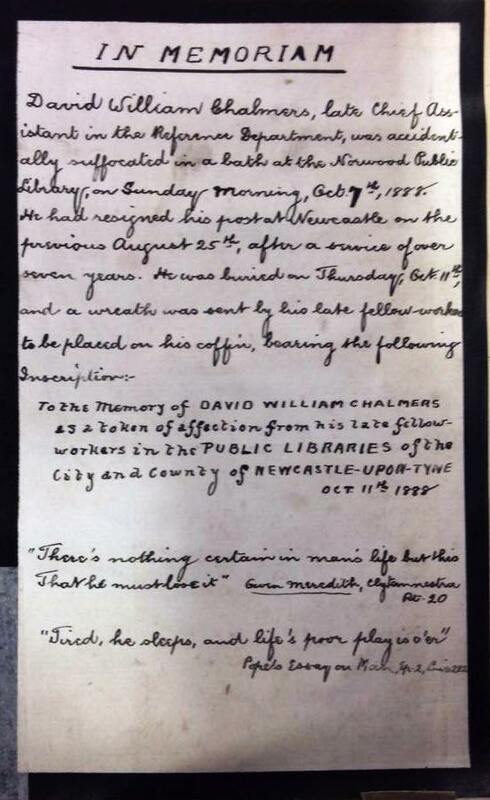 (2) ‘Death of Mr W. J. Haggerston,’ 5 May 1894, Newcastle Library Cuttings, Volume 1, p.45, Newcastle City Library. (3) This research trip was funded by a James Ollé Award from the Library and Information History Group, part of the Chartered Institute of Library and Information Professionals. (4)I have previously written on one pairing within this cohort. During his career at Newcastle, Chalmers had attended the leaving presentations of several colleagues (based at Newcastle or neighbouring South Shields) who were moving onwards and upwards within the profession. 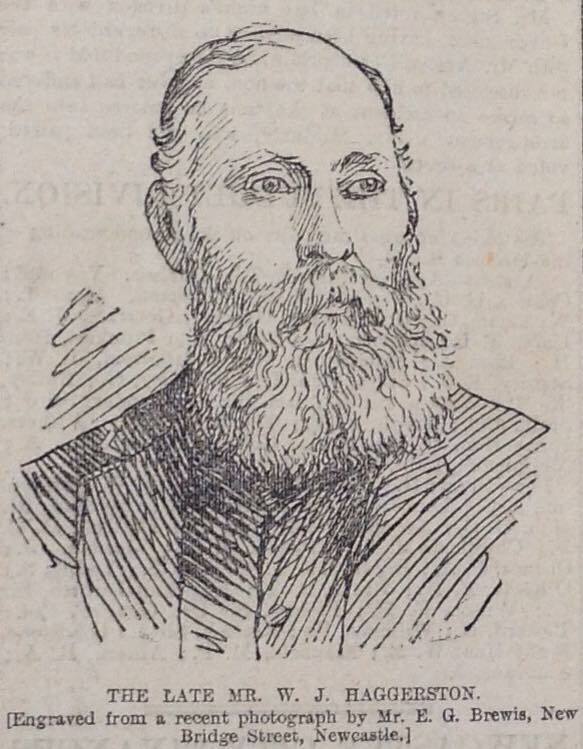 In 1882, Charles Baxter was appointed chief librarian at Kingston in south west London; in 1887, Thomas Everatt secured the chief’s position at nearby Darlington (Everatt was to move again to Streatham in south London in 1891); in 1887, Lawrence Inkster became chief of Battersea, in south west London; in 1887 Frank Burgoyne was appointed chief of Lambeth in south London; and so on. In September 1888, Chalmers also left Newcastle. He was rejoining Frank Burgoyne who had been deputy librarian at Newcastle from 1879 to 1884. Not only would the two men work together in Lambeth but they would also share the library accommodation provided at West Norwood. As described in a previous post, in the late-Victorian period a flat for senior library staff was generally included in the plans for a new library building. Just twenty-one years old, Chalmers appeared on the brink of a promising career as a London librarian. Certainly he would have felt himself well-placed to emulate his Newcastle contemporaries in securing a top position in the city before too long; perhaps he might privately have congratulated himself on his ‘important appointment in a newly-opened library in the South of London’ (2), particularly given his relatively humble origins: Chalmers was the illegitimate son of a single, working-class mother. During the 1880s, he had worked and studied hard in his free time to equip himself for library work, using the region’s active mutual improvement movement as a space within which to educate himself informally – yet assiduously. One month after David Chalmers started work at West Norwood, the south London and Newcastle local papers carried the news of his sudden and untimely death. Library accommodation at this time offered a comparatively deluxe living experience and the latest technologies were frequently included in the fit-out. The ‘new patent bath apparatus’ built in at the Knight’s Hill premises had seemingly caused Chalmers some problems as he went to take a bath one weekend morning early in October 1888 (3). The coroner found at inquest that he had poisoned himself with the gas fumes used to heat the water. It was believed he must have mishandled the mechanism that controlled the hot water, turning the gases to ‘on’ rather than ‘off’ as he finished his bath and almost immediately being overcome by the noxious fumes. Burgoyne found his colleague’s body too late to revive him. This letter of memoriam is reproduced here with the kind permission of Newcastle City Library from Newcastle Library Cuttings, Vol. 1. (1) This post sets out some early findings of a research trip to Newcastle City Library, funded by a James Ollé Award. The findings will eventually form the basis of a publication on regional identity and networks in the late-Victorian library world. (3) As (2) above. I have written more fully about library accommodation elsewhere. Pritchett’s testimony indicates the tensions that could exist between the lower-middle-class black-coated worker and his unskilled labouring neighbours. The latter sometimes resented, mistrusted and disliked their self-improving contemporaries, which dislike occasionally found expression in acts of vandalism or violence. The gulf between the ‘haves’ and ‘have-nots’ appears greater than ever in Bermondsey today. 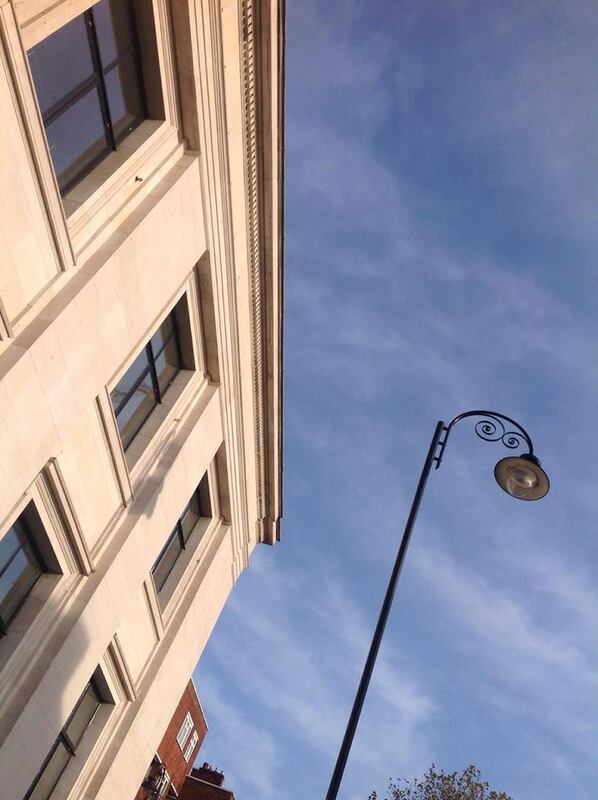 It is perhaps most visible in the built environment in and around the Spa Road region, located at the heart of an ambitious local regeneration scheme. Although not directly part of this scheme, the changing use of the one-time library building sits comfortably within an ongoing unofficial programme of gentrification in SE1 and SE16. 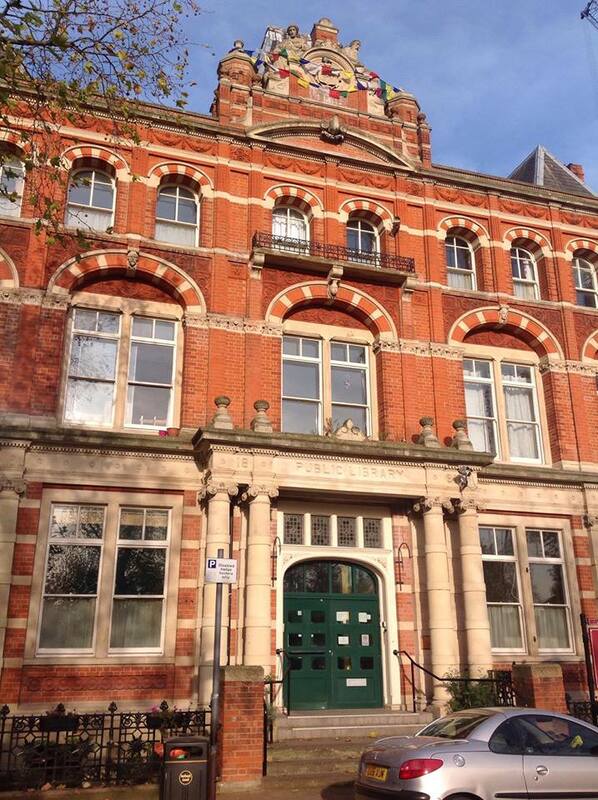 After closing as a library in 1989, the premises were used as office space and a ‘One Stop Shop’ advice centre by Southwark council for some twenty years. Where the links fail to connect completely surround the matters of access and audiences. The Spa Road library was a community space for education that was freely open to all. 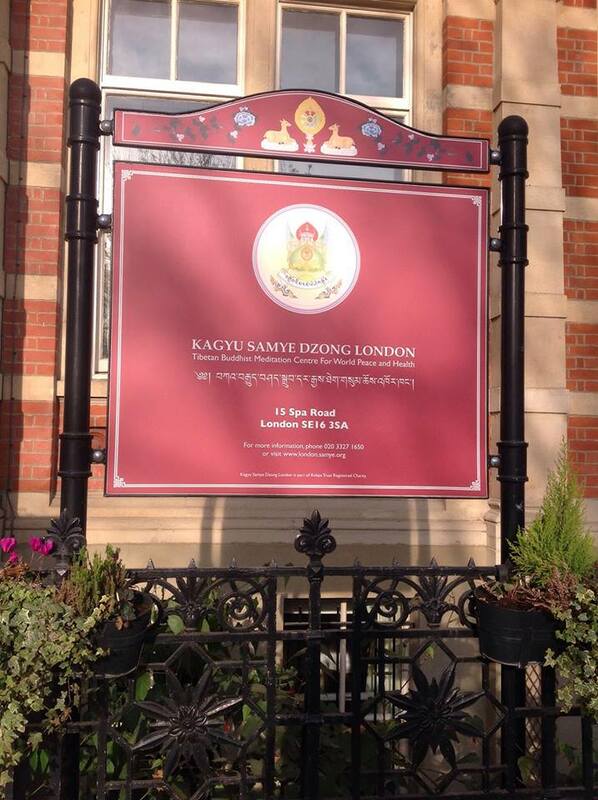 As a Buddhist Centre, the learning delivered on the premises has a narrow appeal and is targeted towards a specialist user-group; but the beautiful building is at least loved and looked-after today. 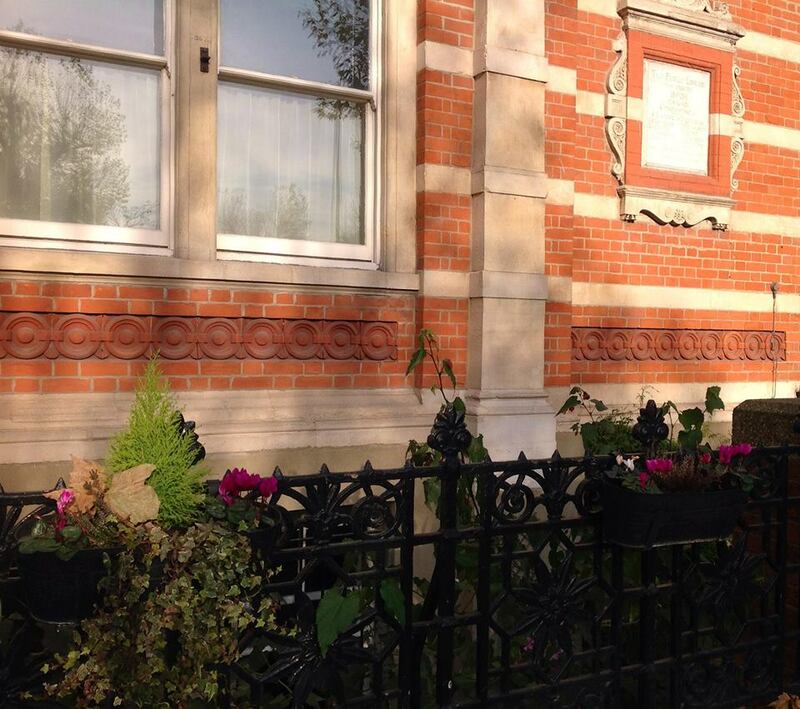 The original foundation stone is intact and well-maintained, and flowers add splashes of colour in the basement area and on the original railings. 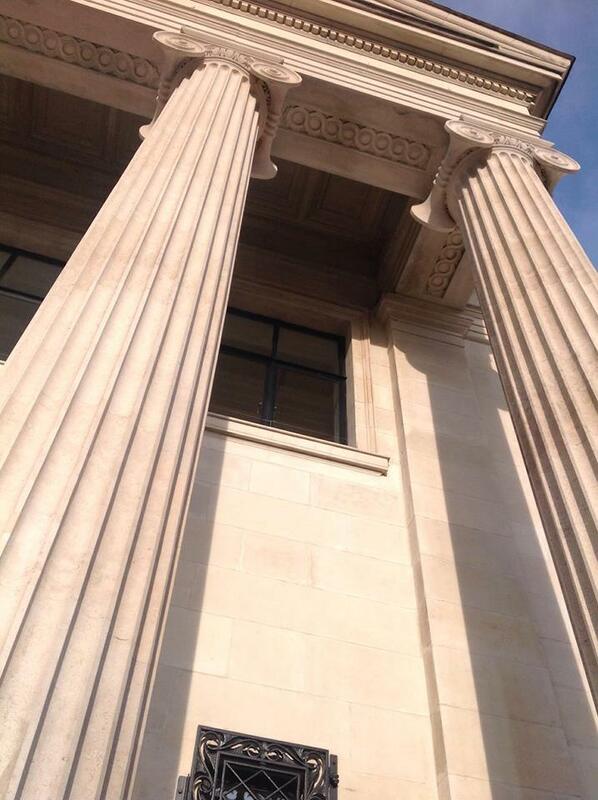 As these photographs indicate, the building has been sympathetically restored with many of the original architectural features maintained. Yet only those with deep pockets will have the opportunity to enjoy them. A space that was designed in the late nineteenth century as a monument to ambitious and idealistic civic intent has been reconfigured in the early twenty first century as private living quarters for a wealthy and privileged few. What would Pritchett’s Bermondsey ‘kids’ or those ‘“shiny arsed clerks with their four ten a week” have made of the three-bedroom flats costing upwards of £800,000 on sale today in the deluxe and ‘lofty’ Bath House Lofts? Inspired by the concept of speed dating, writer Alan Gilbey is pioneering a ‘speed history’ approach to retelling London’s past. In unusual and atmospheric East London locations, historians, writers and actors share stories of local characters or incidents with small audience groups, often using props and costumes to add drama or an element of surprise to proceedings. Every five minutes, Alan rings his bell and the audiences move on to hear another tale told. 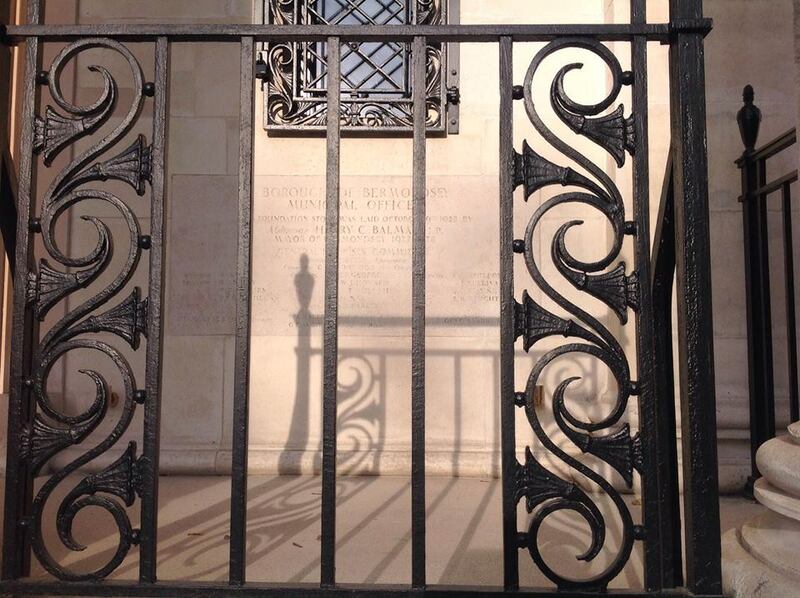 Across three nights in April and May, this innovative approach to public history is taking place in and around Bishopsgate Institute’s historic library. As part of the Bishopsgate event, I tell the story of the so-called ‘Battle of the Books’, a bitter dispute that split the public library world in the 1890s. This is the second time I’ve been involved in speed history with Alan. During the ‘East End Back Passages’ walking tour around Shoreditch in December 2012, my story used the experience of chief librarian William Plant of Shoreditch Public Library as a way in to a wider narrative of learning, class and culture in Victorian Britain, taking in silver trowels, streams of bunting and a trip to Monte Carlo on the way. I’m posting my five-minute Shoreditch story, together with a photograph of Plant with his friends and colleagues in the Society of Public Librarians (1895-1930). 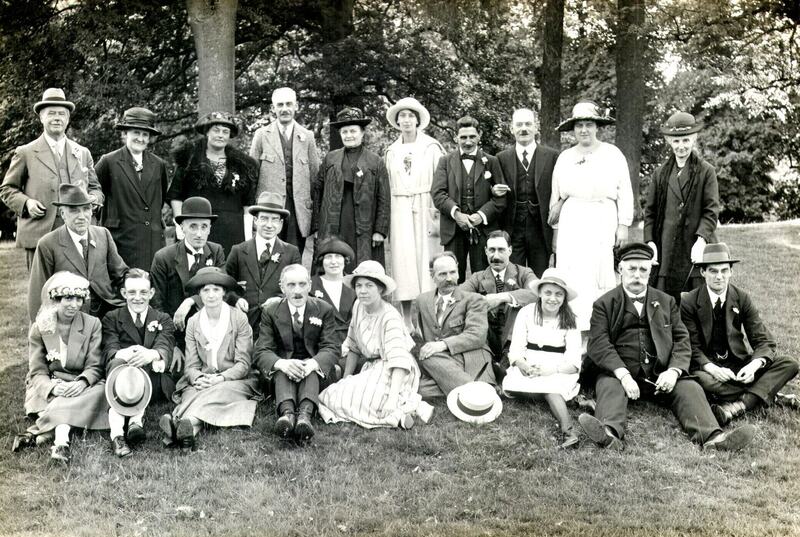 The photograph was taken during a society summer outing to Kent in 1922 and is reproduced with kind permission of the Bishopsgate Institute and Archive. With public library provision especially vulnerable in a climate of spending cuts, the true story of the Shoreditch Library opening ceremony assumes a particular poignancy and significance. Read the story – and the next time you find yourself alongside one of London’s Victorian public library buildings, pause for a moment to re-imagine the scenes around the time ‘your’ library first opened to the public…brightly-coloured streamers and bunting…brass band music…large crowds of cheering men, women and children…and a shared sense of progress and optimism. In 1850 the Libraries Act was passed. It allowed local governments (at that time known as vestries) to use money from the rates (or local taxes) to fund the building of public libraries, free at the point of use, where all might have ready access to newspapers, books and informal learning. London was notoriously slow responding to the Act: some thirty years after it had been passed just two rate-assisted libraries had been built, in Westminster and in Wandsworth. For a variety of reasons (including the 1870 Education Act and the Queen’s Golden Jubilee in 1887) the late-1880s and 1890s witnessed a boom in library building programmes across the capital and by 1914 there were more than one hundred main and branch library buildings in London. There was an air of novelty, excitement and anticipation surrounding these new so-called ‘universities of the people’ and one way to get a sense of this is by describing the fanfare or ‘ta-dah!’ of the public library opening ceremony when thousands of local people would come out onto the streets to celebrate each new library launch. Library buildings and nearby trees and railings would be festooned with flags, banners and bunting. Brass bands played jolly tunes before and after the ceremony – often performing at the head of a procession of the local ‘Great and the Good’ as they paraded from the Town Hall to the Library to launch the proceedings in grand style. 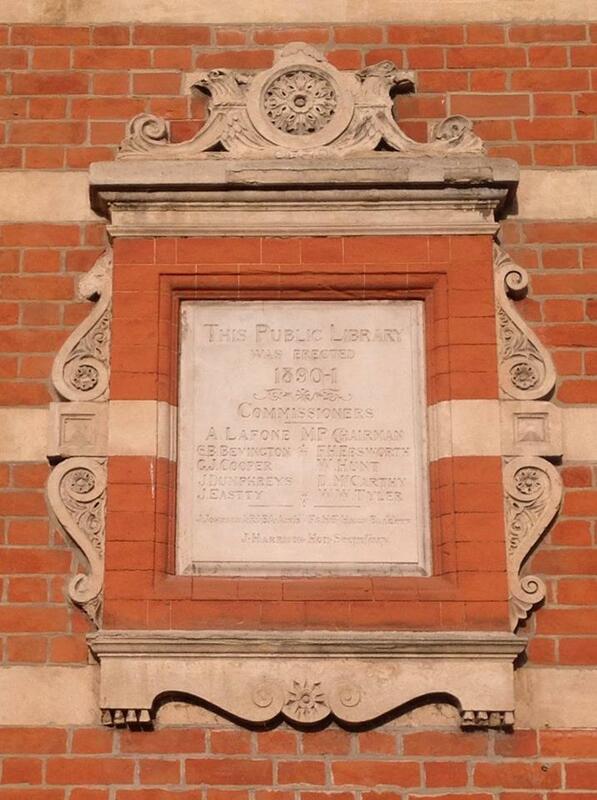 The Shoreditch Library Opening celebration was scheduled for May 1893. Eager to book a big-name guest, the new chief librarian William Plant (below, top left) invited the Prime Minister William Gladstone to officiate on the platform. His approach was unsuccessful. 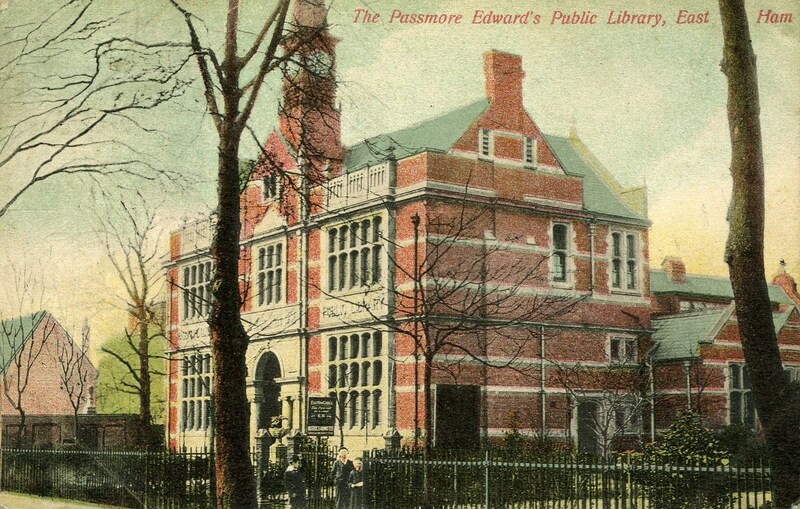 Finally, Plant wrote to John Passmore Edwards, a self-made publisher and keen supporter of the library movement. Edwards had financed a number of public library projects in the East End, including at Shoreditch where he had paid the full construction costs of the library premises. Edwards had also officiated at dozens of library opening ceremonies – later in the 1890s he was to open not one but two library buildings in East London in a single day – but he was unable to take the platform at Shoreditch. Instead he proposed a politician friend, the Duke of Devonshire. On the one hand, then, we have William Plant living and working in a free library located on the obscure fringes of the notorious East End. Surrounded by builders’ rubble, he regularly worked on late into the evening to prepare the library for public use. He fretted over the gilding of the words ‘Shoreditch Public Library’ on the front of the building; he bartered with booksellers ton gain the best price for books for the shelves; he oversaw repairs to the joints in the hot water pipes; he grew anxious about delays to the laying of a new cork carpet; and he expressed concerns about the efficiency of the monogrammed mat purchased for the library entrance. On the other hand, we see the Duke of Devonshire moving from one smart location to another. His staff remained in touch with Plant, issuing peremptory updates on the arrangements for the Shoreditch opening ceremony: his Grace had just left for Monte Carlo; his Grace was enjoying a day at the Races; no, his Grace wasn’t yet able to confirm a date for the ceremony; and so on. The Duke of Devonshire’s half-hearted engagement with the Shoreditch opening ceremony indicated the ‘Cinderella status’ of the rate-assisted library in the eyes of those who moved in more elevated circles. At the same time, Plant’s grand aspirations for his opening ceremony reminded us that, at grass-roots level, the new free libraries were perceived altogether differently. Before the advent of the rate-assisted library, only those men and women with a disposable income or respectable social connections and/or a stable home address were able to access London’s various circulating and subscription libraries, university and church libraries and large reading rooms – of which the British Museum was probably the best known. Yet even the cheapest reading matter (down to and often including the daily papers) might lie beyond the financial reach of ‘ordinary’ people. So how would the self-improving domestic servant, the out-of-work bricklayer, the impoverished pupil-teacher, the itinerant labourer or the down-at-heel office clerk access books or learning in late-Victorian?